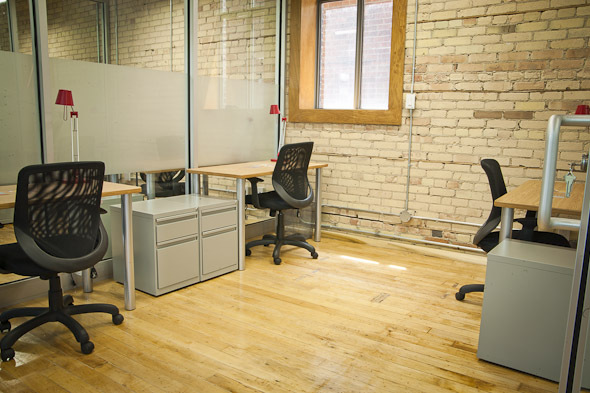 A new shared workspace will be opening next month near Queen and Bathurst. 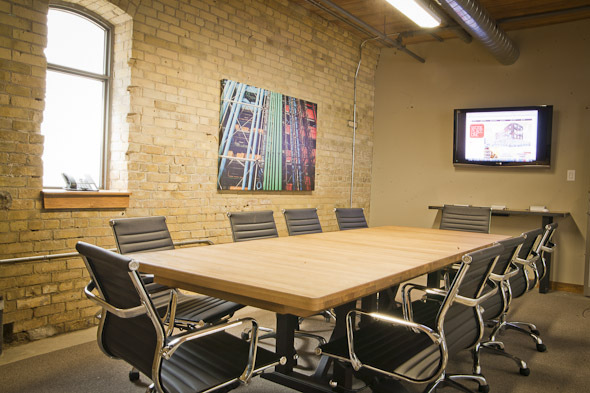 Tucked away behind a building on Wolesley Street across from Theatre Passe Muraille, Workplace One joins a growing list of options where individuals and small businesses can get temporary office space and access to meeting/conference rooms and other office infrastructure. 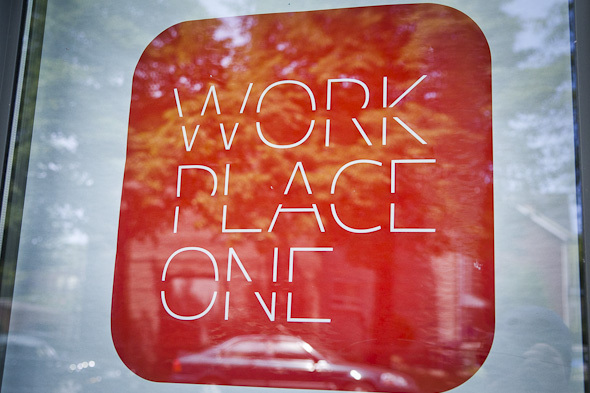 Unlike the recently opened ING Cafe, however, Workplace One seems more focused on bringing in individuals and small businesses that need full time office space. That's not to say people can't drop by for just a single day though. 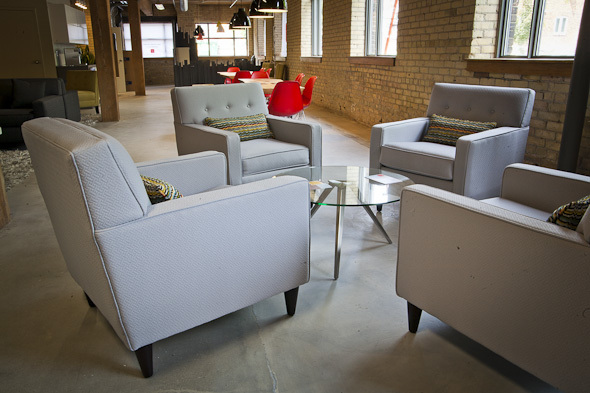 The daily rate for the co-working lounge is only $25 and while it doesn't include an individual desk it does include access to other services. 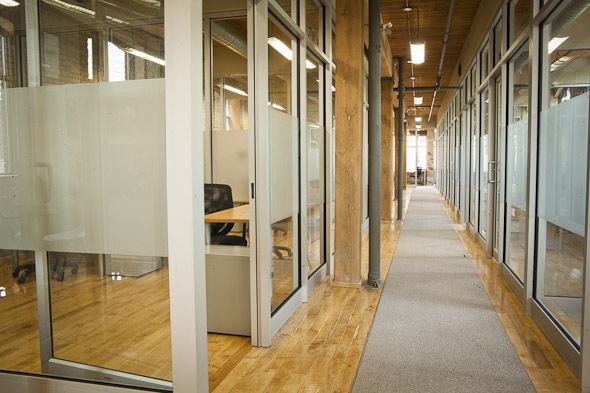 The three floor brick and beam space includes individual offices on two floors (many with windows) and lounge and meeting rooms on another. 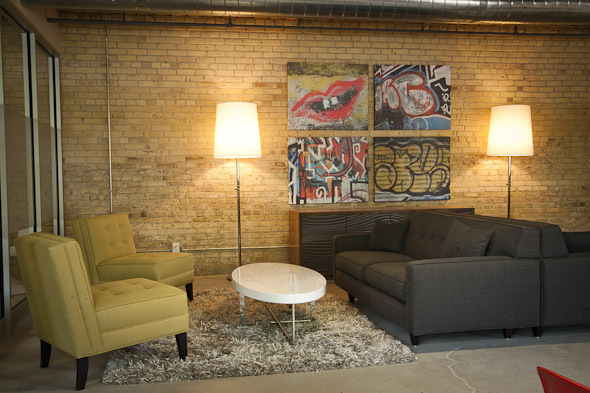 WiFi, a printer/copier/scanner, mail service, coffee bar and kitchenette are all available as part of the monthly fee. And what is that fee? It depends on what you're buying. 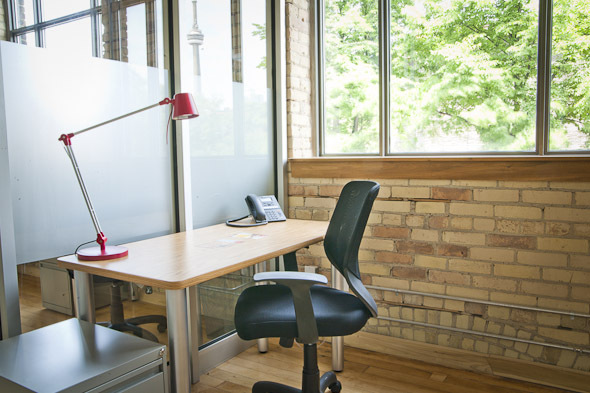 There are options that range from a shareable desk ($200 a month), a dedicated desk in a private office ($550 a month) all the way up to a private office (starting at $1,100 a month). Right now they're offering price breaks for those willing to commit for a minimum term of 6 months. 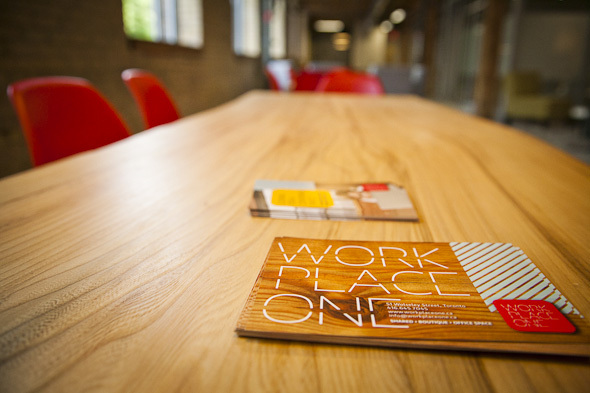 Workplace One officially opens on July 1st.